 Do not over-charge batteries.  Do not put it in the high temperature condition.  Must wait for the machine to cool down for 10-15 minutes, then replace a new battery to fly.  Carefully read the instruction manual before use. 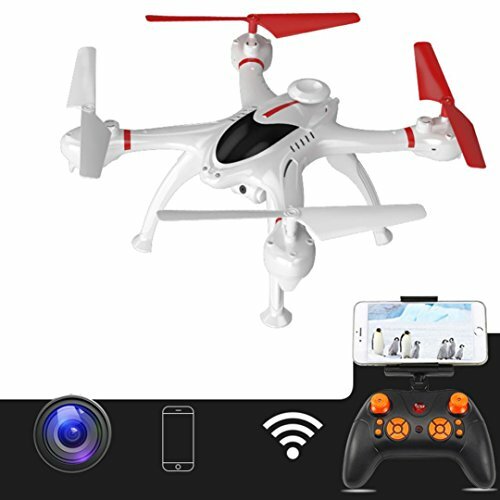  【WiFi FPV Camera】The WIFI connection between camera and smartphone enables you to remote control and enjoy FPV in a faster and easier way.  【 G-Sensor】With the gravity sensor function,you can use the phone to control the aircraft turn left/turn right,forward/backward. 【Foldable Design】With the concise and aesthetic design and the advanced technology of foldable aerofoil,the drone becomes lighter and easy to be carried along.  【 One Key Automatic Return】Only need to press one key,the drone will come back to home automatically.Easy to operate.